He was a renaissance man. A prolific writer. The father of Modern Management. A trusted advisor to business leaders. A passionate teacher. 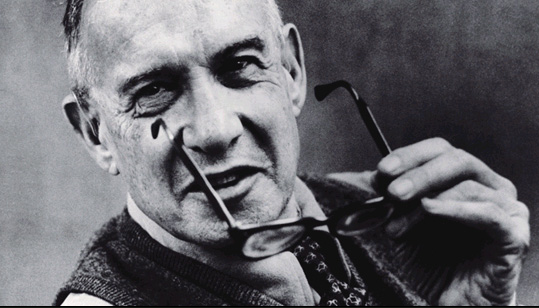 Peter Drucker [1909 – 2005] is thought to have directly influenced – invented, some would contend – 21st century management. He was an advisor to some of the most renowned CEOs of his time, from Jack Welch of General Electric to Alfred P. Sloan Jr. of General Motors. Drucker left 39 books to his legacy. Amazingly, he wrote 2/3 of these books subsequent to turning 60. Drucker was quite plausibly one of the first to assert that the sole purpose of a firm is not to make money. Okay. So what exactly did this renaissance man offer the world? In the 1940s, Drucker introduced to business the concept of decentralization, the process of redistributing functions, power, or people away from a central location. Large organizations around the globe embraced decentralization as a vital operating principle. In the ’50s, Drucker originated the view of the corporation as a “human community”, arguing that companies must be built on trust and respect for the employee. He also asserted that business serves two vital functions: marketing and innovation. The ’60s encompassed Drucker’s belief of substance over style. Institutionalized practices to dominate. 1970’s – knowledge trumps raw material. It is safe to say that Peter Drucker faced no shortage of ideas. He began teaching classes at NYU – classes that were so popular, the school had to drain the swimming pool and cover it, just so hundreds of chairs could be added to the audience that longed to learn from Peter Drucker. A component of Drucker’s brilliance was his ability to find connections among seemingly isolated disciplines. Interestingly, it was this exact non-linear thinking that caused academia to be skeptical of Drucker. Claims were made that his work lacked quantifiable proof. That it lacked rigorous academic research. Very few business school professors assigned Drucker’s books to their classes. Yet, behind every great man (or woman) is a handful of skeptics. Take it for what you will. Paradoxically, decades after “The Practice of Management” hit the shelves, companies are still struggling to understand the notion of creating a customer. Why? Well, the likes of Milton Friedman certainly didn’t help. Although Drucker’s influence was vast among the business community, interestingly, at the same time that Drucker was advocating for focus on the customer, Milton Friedman was spearheading the “sole purpose of a company is to maximize shareholder value” school of thought. Milton Friedman [1912 – 2006] argued that a company has no social responsibility to society because its sole concern is to increase profits for itself and its shareholders. 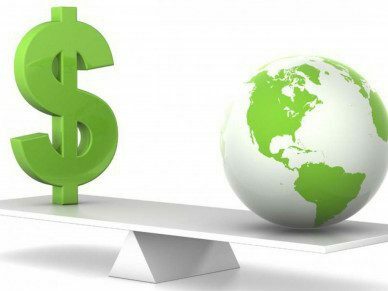 Although the Friedman Doctrine has been widely debated for decades, by and large, corporate America has operated with a thirst for profit maximization. Yet, the global economy is at a tipping point. It’s somewhat new. You might not have even realized it yet. Leading the charge is Paul Polman of Unilever, who no longer publishes full quarterly financial results, refuses to offer earnings guidance to equity analysts, and has introduced a detailed sustainable living plan, and Tim Cook of Apple, who recently told his shareholders at the annual meeting this past February, “When we work on making our devices accessible to the blind, I don’t consider the bloody ROI. If you want me to do things only for ROI reasons, you should get out of this stock”. And, thus, we come full circle back to Peter Drucker. Interesting post! Thanks for highlighting the bold thinking of Drucker and the bold actions of Unilever’s Polmam and Apple’s Cook. Also worth mentioning are two pioneers of sustainable business: The late Ray Anderson of Interface Carpet (he basically worked to make it as close to a zero-waste company as possible) and Yvon Chouinard, Founder of Patagonia. Perhaps Sustainable Investor can write a future post on one or both of these pioneers! Thanks greensportsblog, for the intel! Amazon is a great example of customer service. Wile Drucker was focused in getting customers, the focus should be on keeping customers Had a package from Amazon stolen from our house the other day. No questions asked, Amazon sent a new item free with next day delivery. Customer for life. Previous One Person. One Cup. One Neighborhood at a Time. Next Cheap Gas is Back…to the Detriment of Tesla?